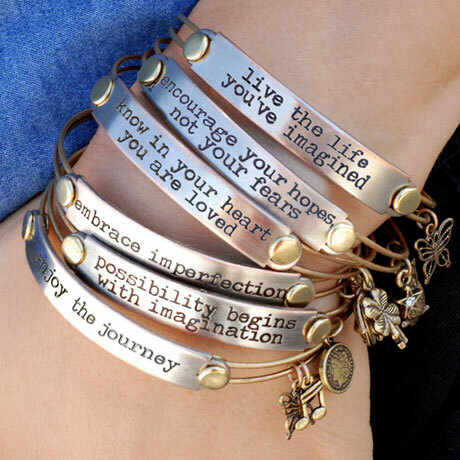 Inspiration Bracelets Words that help you think positively and live life to the fullest, stamped on bangles to stack or not. 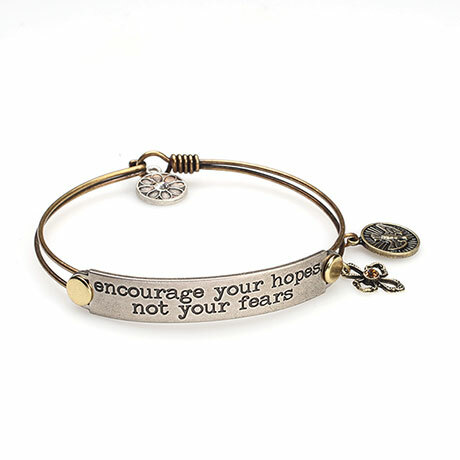 Each is brass and silver-tone metal, with a pair of charms that harmonize with the message. 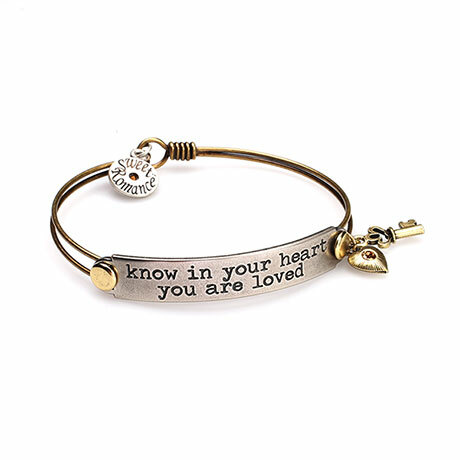 3/8" wide, standard-size (about 2½ " diameter), they fit most wrists, with on-and-off made easier by the hook-and-eye clasp. 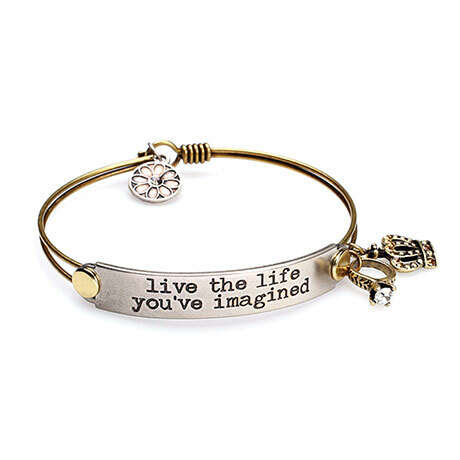 Specify Know in Your Heart You Are Loved; Encourage Your Hopes, Not Your Fears; Embrace Imperfection; Enjoy the Journey; Possibility Begins with Imagination; or Live the Life You've Imagined.